You might not be driving a vehicle yourself but that doesn’t mean the occupational, health and safety requirements for the vehicles driven by your company staff and contractors are someone else’s problem. 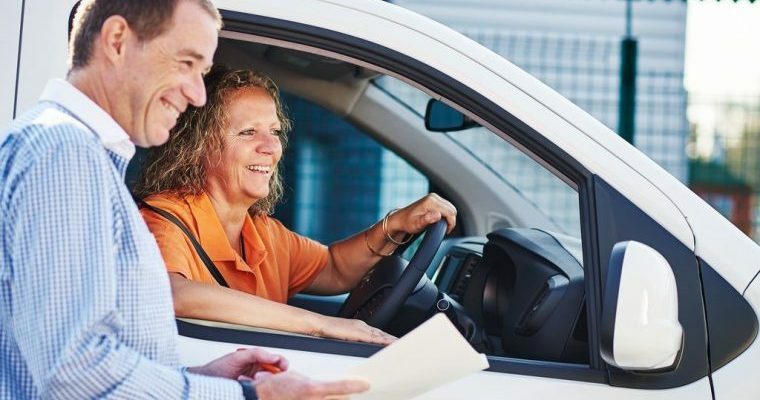 From the condition of your vehicles to the way they’re loaded, the process for keeping maintenance records and even the health of the person behind the wheel, your obligations as a manager cover an enormous spectrum. The concept of Chain of Responsibility (CoR) is an area that more HR, fleet and vehicle professionals need to familiarise themselves with – to look after your people and minimise the risks your company can be exposed to if things go bad. One of the biggest difficulties in understanding the concept of Chain of Responsibility is where to begin. Craig Porter, National Commercial Vehicles and Aftersales Manager for LeasePlan Australia and New Zealand, suggests coming at CoR from a safety angle. “Picture a chain, and always bear in mind the old truism that a chain is only as strong as its weakest link. Broadly speaking, the focus of CoR is the owner, the driver and public safety. In the past, the onus of responsibility was placed on the owner (who was usually the driver). As best-practice principles in logistics and transport industries have changed – along with vehicle and equipment leasing options – placing the responsibility for anything that goes wrong on the owner alone has become problematic and unfair. There are multiple parties involved in the many stages of getting people and goods from point A to point B so, in actual fact, every link in that chain is accountable for enabling the driver to their job safely. There are multiple touchpoints in a truck’s CoR journey where someone could have a substantial effect on the safety or reliability of the truck, the driver and anybody that may be in the vicinity of that truck when it’s on the road. Each axle on any truck has an independent load limit that it can’t exceed. For example, pushing too much weight to the front of the truck may overload the front steering axle. That’s not just dangerous, it’s also illegal. Realistic and achievable delivery timeframes also form a key link in the CoR. Schedulers need to consider the expected time from pick-up to the delivery point for any given truck and its driver. “If the scheduler sees that you’re 75-kilometres from your next point but wants you to be there in one hour – and you’ve got to go through an urban or built-up area to get there – then that may be an unrealistic timeframe,” observes Craig. Pressure put on a delivery window from a scheduler who expects their driver to meet expectations could push the driver to drive beyond what is legal and exceed state boundaries of operation. Consequently, the safety of the driver and those sharing the road with that vehicle could be compromised. The culture and work philosophy of a workplace may not have an obvious impact on CoR but it does play as important a role as other more immediate elements. “Someone may not be working on something that’s directly related to the truck but it does relate to the safety of the vehicle. And that’s where the chain of responsibility piece comes into play,” says Craig. Has the driver had ample rest before they’ve gotten in behind the wheel? While getting sleep might be the responsibility of the driver, it can also fall within the responsibility of the employer in terms of timetabling and shift planning, etc. Was that driver involved in loading the vehicle? Loading a vehicle is not considered ‘rest time’ by law, as it still part of their employment duties. Is the driver under the influence of illegal and/or prescription drugs or alcohol, and is their mental health okay? There is responsibility on the driver to communicate effectively but it is also up to the workplace itself to foster a culture that prioritises safety ahead of encouraging or condoning irresponsible practices. What are grey fleets? Grey fleets are those vehicles used by employees to perform a job requirement but which the employee privately owns. Often, the employee is being reimbursed on a per-kilometre basis. 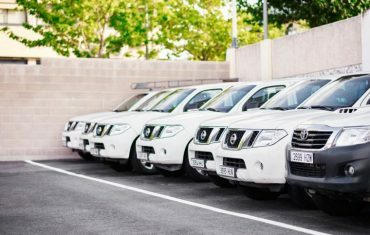 According to Greg Maimur, Commercial Director at LeasePlan Australia and New Zealand, grey fleets are an arrangement that can cause no shortage of problems and exposure to risk for companies in terms of CoR. With companies using grey fleets, there’s a tendency for maintenance standards to be become almost non-existent. 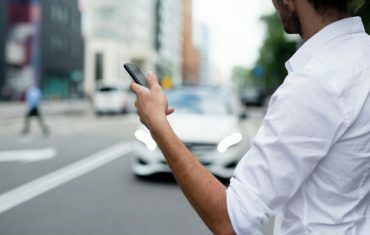 Greg admits to hearing many anecdotal stories about employees getting significant end-of-month rebates for using their own vehicle, with little to none of it going to the car itself, unless essential repairs are needed. Are the drivers actually operating the vehicle safely? Has their physical and mental health been checked? Do they have good eyesight or are they colour blind? Do they have a current drivers’ licence? What is their demerit point or traffic record with the police? Is the car adequately insured? Are you able to measure and manage the carbon footprint? While it might seem easier to opt for a cents-per-kilometre rebate, in many cases, this arrangement is simply inadequate. Not to mention that asking an employee to use their own private vehicle to conduct business on an employer’s behalf, without fully addressing their safety needs, falls under the umbrella of unconscionable behaviour. The majority of states and territories in Australia (with the exception of Western Australia and the Northern Territory) are signatories to the National Heavy Vehicle Laws (NHVL) and National Heavy Vehicle Accreditation Scheme (NHVAS). Among the many safeguards, it’s fair to think of compliance as a nationwide strategy to ensure CoR remains front-of-mind for the majority of transport companies and users. But there are a number of ways in which adhering to NHVL and getting NHVAS accreditation can create no shortage of headaches for fleet managers. Soon, maintenance compliance will become a major component of NHVL and NHVAS as part of a number of reforms to the current system. 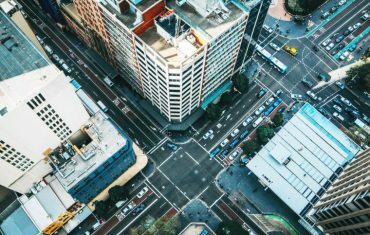 With these changes on the horizon, accreditation is a major goal for LeasePlan Australia in ensuring organisations can meet their CoR obligations. Do you follow a generic service plan that you’ve adopted in your business? Or do you have the technology to assess the vehicle properly and download fault codes that manufacturers make available? Is the vehicle overdue for service? Do you have a complete history of the vehicle across the previous seven years? Is the person signing the service invoice a registered mechanic? That’s a complicated list for any operator to try and manage, and that’s just a few of the considerations that need to be taken into account for CoR.